This is your receipt for the first step of your coaches application. Within a few days, you will receive an email from 'DoNotReply@talentwise.com' (shown below) with a link to a background check form. 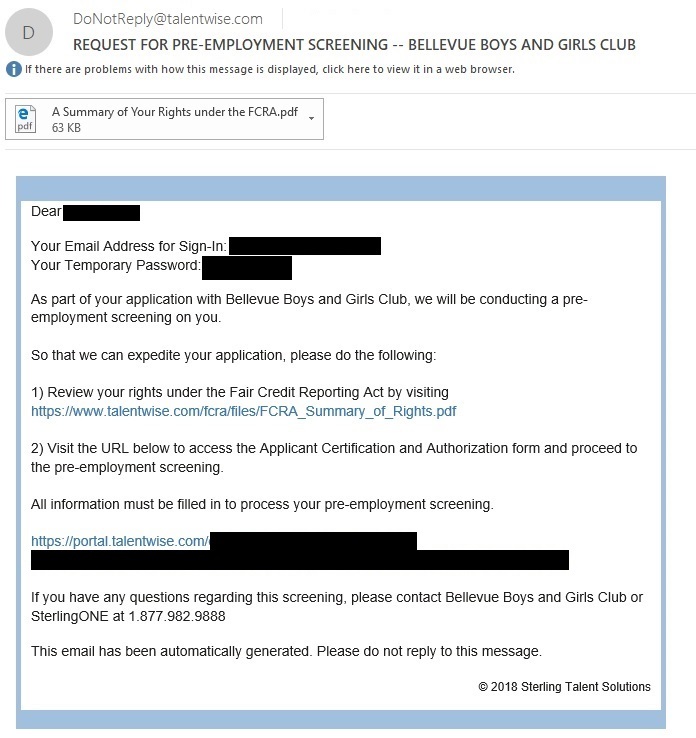 You must fill out and pass the background check in order to coach in the league.